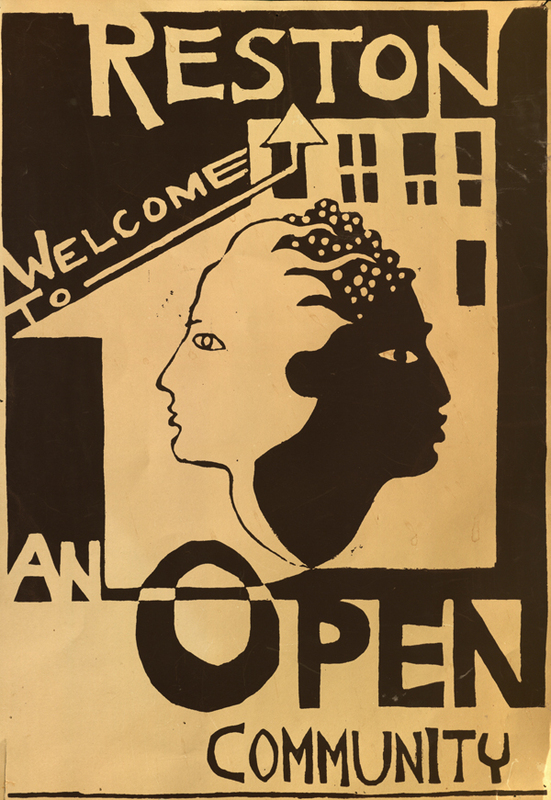 Poster proclaiming: "Welcome to Reston, an open community". Poster shows a Janus-type figure with light- colored face on the left and a dark-colored one on the right. 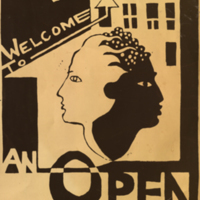 unknown, “Welcome to Reston an open community,” Reston@50, accessed April 18, 2019, http://reston50.gmu.edu/items/show/43.